I just don’t know what to make of these. On the one hand, now that we’re at the start of a new year, and the days are (very slowly) starting to get longer and lighter, anything that reminds me of spring is very welcome. 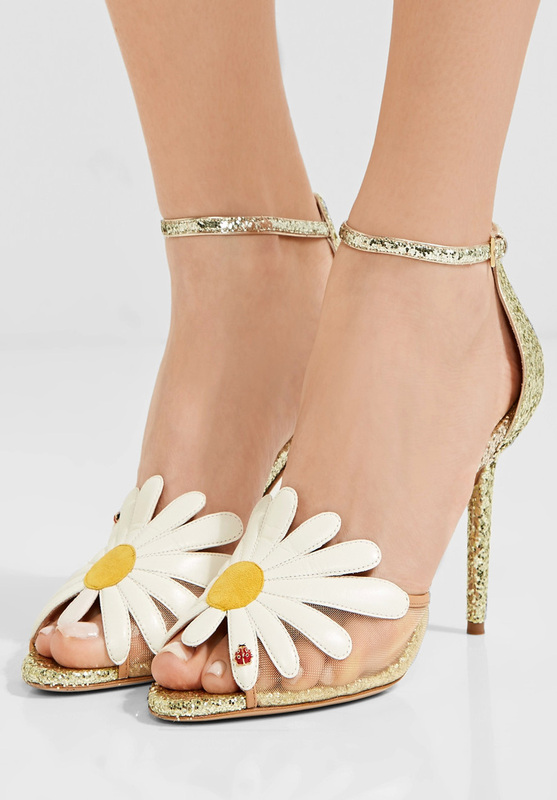 The oversized daisies on the front of Charlotte Olympia’s ‘Margherite’ sandals definitely do that… but then there’s all that glitter on the rest of the shoe, which seems a little incongruous against the flower embellishment. It’s like the front of the shoe has made it safely to spring, while the rest is still stuck in the Christmas party season; the embellishment says ‘summer day’ while the back is ‘evenings only’. It’s a bit of an odd combination, and, as I say, I’m just not sure what to make of it: my initial instinct was to think, ‘Yes, something different at last!”, but the more I look at these, the less I like them – and the fact that the mesh upper underneath the flower makes it look a little bit like the model is wearing a pair of sheer tights doesn’t really help me make my mind up, either. What do you think of these? 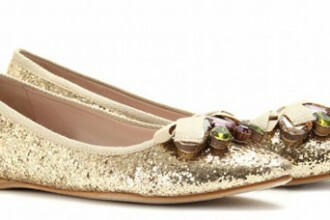 Do they get a yay or a nay? 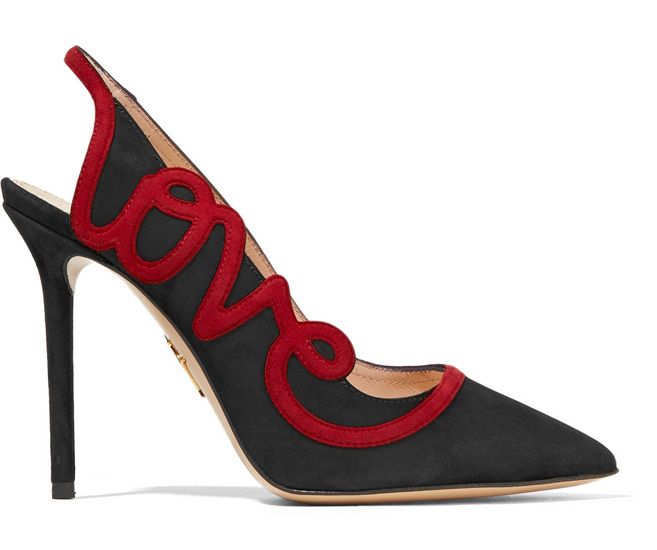 These shoes really want you to love them: do you, though? They have a classic slingback shape, with the bright red lettering really standing out against the black upper: would you wear them, though? 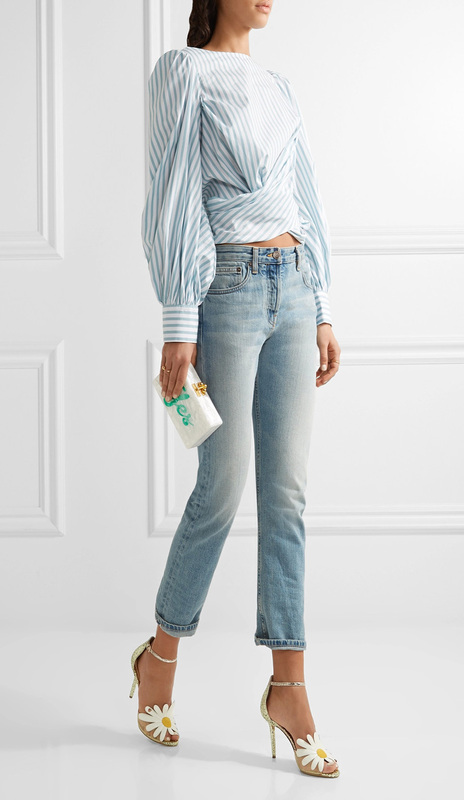 These ones, meanwhile, have the feel of a maribou mule, but with the added security of the slim ankle strap: they’re gorgeous and decadent, and will bring a little touch of luxury to your life – or to your shoe collection, at least!